There are 110,000 nonprofit arts organizations across the nation and 40,000 federal and state arts grants given out annually, according to President of the Americans for the Arts Robert Lynch, who spoke with the Associated Press about how “federal funding is part of the infrastructure of the arts industry.” However, as actor Alec Baldwin notes, America has fallen significantly short of its arts funding high of $176 million in 1992. This year, arts endowments received $147 million, a $22 million cut compared to 2010. On Monday, April 15, Baldwin paid a visit to the U.S. Capitol to press Congress for federal funding for the arts. Baldwin stated that, for him, a night out for culture isn’t an issue, but for many it’s difficult to seek out music, theater or dance programs—especially with recent budget cuts to arts programs. Baldwin also delivered an arts policy lecture at the Kennedy Center and brought his concerns to the National Press Club. 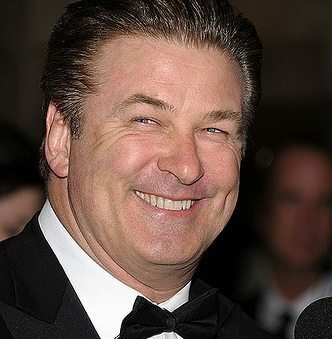 Baldwin’s lobbying efforts are in sync with those of Lynch’s Americans for the Arts, the nonprofit lobbying group that advocates for increased federal funding of arts programs. Musician Ben Folds is also lobbying Congress, along with hundreds of other arts advocates. Folds stressed his concern that as standardized testing for achievement in reading, math and science becomes the focus in schools, arts programs are being cut. “I’m just a walking example of someone who would be maybe bussing tables right now at best if it wasn’t for my arts education,” Folds said.